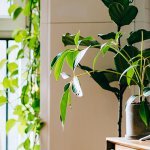 Home » All Posts » What is the PACE Program and Why Should You Look Into It? For homeowners and business owners looking to save on energy bills, the PACE program offers a wide range of benefits. Here, we’ll learn what the program is, how it works and why you should opt for it. The PACE (Property Assessed Clean Energy) program is designed to encourage the adoption of renewable energy, water conservation and energy efficiency. 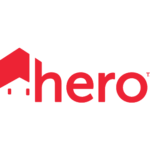 It provides easy financing for residential, commercial, industrial and non-profit establishments investing in new HVAC systems, lighting, solar panels, insulation, water pumps, and other energy-efficient upgrades. Heating, cooling and lighting are typically the highest energy guzzlers in a building, and the PACE program helps you save on these costs. It offers 100% financing for energy-efficient projects, with long-term repayment (up to 20 years). The program’s financing is sponsored by local and state governments to promote environment protection, job creation and economic development. What Are the Top PACE Benefits? Monthly Savings – PACE finances energy-efficient upgrades for HVACs, lighting and appliances, which consume less electricity and water than their older counterparts. 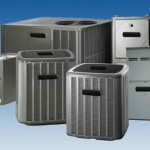 This results in lower utility bills every month and extensive long-term savings. Property Value – Energy-efficient upgrades increase property value, and PACE financing remains in place even when the building is sold or rented. The longer payback term makes projects cash positive and allows contractors to close larger sales. Job Creation – The program creates more local jobs and economic output for every project funded. An ECONorthwest study in 2011 found that every $1 million spent on a project created 15 new jobs and an economic output of $2.5 million. Environmental Benefits – Upgraded equipment and renewable energy use reduce fossil fuel consumption. The PACE program encourages energy and water conservation projects to help communities meet their environmental goals. Residential PACE Program – The upfront cost for home energy upgrades is huge, which is where PACE funding and guidance makes a huge difference. 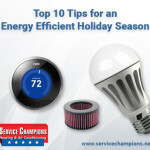 Homeowners can save money on monthly utility bills and lower their carbon footprint even if they don’t have sufficient resources on their own. 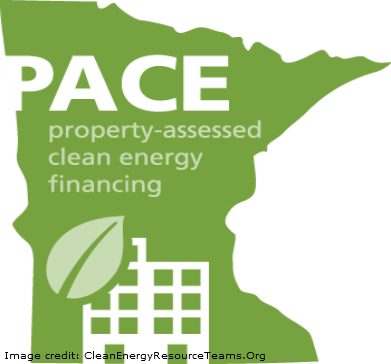 Commercial PACE Program – The PACE program offers funding and support for commercial and industrial property owners interested in energy upgrades, renewable energy and water conservation. This helps them reduce the environmental impact of their project as well as enjoy energy savings. PACE Market Growth – It’s All in the Numbers! The Residential PACE program has funded $2,065 million in 97,000 home upgrades (67% energy efficiency, 19% renewable energy, 14% mixed projects), and created 17,500 jobs. The Commercial PACE program has funded $250 million in 250 commercial and industrial projects (46% energy efficiency, 45% renewable energy, 9% mixed projects), and created 3,000 jobs. If you’re interested in making the switch to energy efficiency, the PACE program can help you! Click here to check availability in your state.